We know this can be a confusing and difficult time, and we are here to help you. We are dedicated to making this process as simple as possible. The first step is to get your questions answered and to schedule your first mediation appointment. Please fill out the form below and we will contact you shortly for your FREE no obligation phone consultation. 2. Take PGA Blvd. East to Prosperity Farms Rd. 3. Turn Left onto Prosperity Farms Rd. 4. 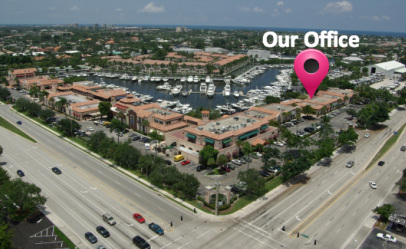 Take the 1st Right into the plaza where our office is located. 5. Turn right and follow the parking lot around to the south side of the building (Destination will be on the left). 6. The property is called Harbour Financial Center, and the building is the Harbour Executive Suites, located just past Carmines and Kevin's Deli.7. The office building number is #196. 8. For appointments after 6 PM, you will need to ring the doorbell. 9. Our room is #18 located down the right hall and is on the right. 10. Please call Midge at 561-373-4697 if you get lost.